When we think of the very first video game, most of us think of Pong. But there were actually several video games before that iconic home entertainment system. The room-sized beast above was the very first one to ever receive a patent. Dubbed the Cathode Ray Tube Amusement Device, it was patented in January 1947 by Thomas T. Goldsmith Jr. and Estle Ray Mann. It was based on the radar systems used to control WWI missiles. 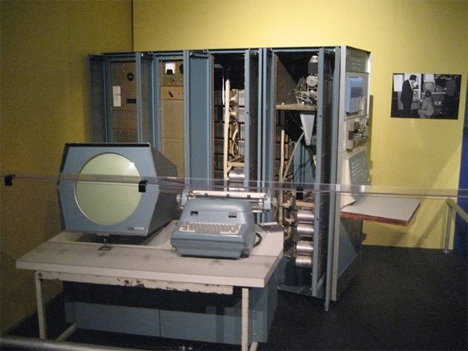 Players would use the knobs on the front of the tube to adjust the trajectory and speed of a single dot on the screen which represented a missile. Every plane that the missile hit scored one point for the player – but points had to be added up by hand. The CRT Amusement Device was never actually produced, but of course that wasn’t the end of the blossoming video game industry. The next game to make an appearance was Tennis For Two, a simple little device developed in 1958 by William Higgenbottom at the Brookhaven Lab. Today it is thought of as the granddaddy of all video games. The world had to wait all the way until 1971 for the very first commercially available video game. 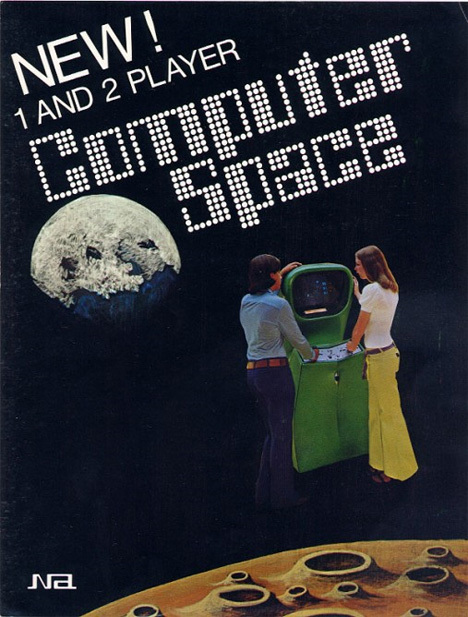 Computer Space was a coin-operated game developed by Nolan Bushnell and Ted Dabney, who later became the founders of Atari. The game play consisted of guiding a rocket ship safely through a playing field fraught with danger from flying saucers. The game was not a huge commercial success, mostly thanks to the steep learning curve involved, but it did go down in history as a memorable part of gaming history. See more in History of Tech or under Vintage & Retro. June, 2011.